Check out the New Demos! 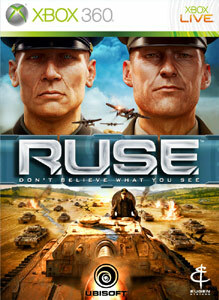 "In R.U.S.E.™, players use their brain as the ultimate weapon, fighting a war of perception, where the ability to deceive and mislead the enemy determines success. A first in a strategy game, R.U.S.E. reinvigorates the genre by using deception to give new-found depth to the game play." "Shred through 4 tracks in all new Quest mode and unlock Johnny Napalm’s chapter to enhance his unique power and unleash his Warrior alter ego. In GH™ Warriors of Rock, join with friends on an epic rock journey to save rock in Quest mode, test your skills and challenge friends in Quickplay+, and rock anyway you want in Party Play mode. Step up your experience by sharing achievements and challenging friends through all new Hero Feed, the ultimate social and competitive features."